The green medicinal bug is going around from state to state as marijuana measures are passed left and right. Recent legalization in Canada has begun possible talk of nationally legalizing marijuana. States like Utah have broken their old traditional outlooks on the issue of cannabis creating a whole new era of medication and jobs within local communities. Governor Gary Herbert made history earlier this week by joining more than 30 states in legalizing medical marijuana. 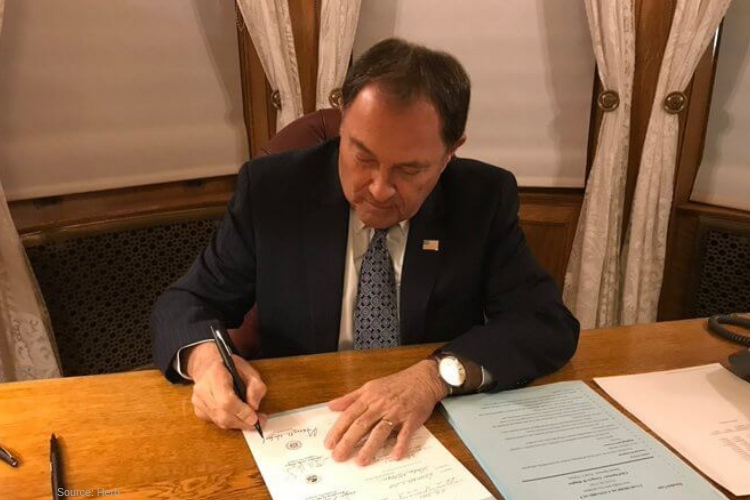 He signed the Utah Medical Cannabis Act after legislators made changes to the pro-medical Marijuana bill that local voters approved by ballot back in November. Although the first bill allowed edibles and permitted people to grow a limited amount of marijuana, the new bill eliminated those two provisions. Also tightening the circle of the eligible medical conditions that can use the medicinal marijuana. The bill has been under harsh criticism for making it practically impossible for patients to get their hands on the medication. Allowing only seven makeshift “pharmacies.” Method of smoking is not an option for patients in Utah, instead, they are required to be in an oil, capsule, and tablet, topical lotion or gelatinous cube. Despite the changes made to proposition 2, Conner Boback, a leader of the pro-medical marijuana group, Utah Patients Coalition, rejoiced as legislators passed the act. He still believes, however, that the bill should have remained untouched. He told reporters at NPR, “I operate from reality and not fantasy,” adding he wasn’t surprised that it was changed, even after public appeals during a previous hearing. Last month voters approved the pro-medical marijuana act known as Prop 2. Democrats in both the Utah House and Senate requested for it to remain as is without any revisions. However, the Republicans, which control both chambers, overruled that proposal. Utah is a state very influenced by the Church of Jesus Christ of Latter-day Saints, whose followers expressed support of the legalization in October after initial concerns that the act would containment the church leading to widespread marijuana use. Michigan also under some spotlight after it became the first state in the Midwest to allow recreational use and the 10th state in the nation to allow marijuana for more than just medical purposes in a voting poll last month. Missouri also joining the green movement by passing a measure for legalizing medical marijuana. North Dakota voters, however, declined an act that would have put the state on the map for legal use of recreational marijuana. The Recover is an unbiased substance abuse and mental health news provider. Helping individuals looking for the right treatment programs in their area. Also providing information on Utah drug rehab centers for addiction recovery.